She is currently working as Professor & Head of Physiology, and Vice Principal (Academic) at Kakatiya Medical College, Waranga. She has more than 25 years of teaching experience and is a member of the Postgraduate and Undergraduate Board of Studies at Dr. N.T.R. University of Health Sciences (NTRUHS), Vijayawada. She was a resource person for faculty development programmes at NTRUHS, Coordinator for the Medical Education Unit at Kasturba Medical College (KMC), and conducts all university exams and external exams. She is the Regional Coordinator in Andhra Pradesh (AP) for the Engineering Agriculture and Medicine Common Entrance Test (EAMCET). She has attended National Teacher Training Centre (NTTC) programmes at the All India Institute of Medical Sciences (AIIMS), Maulana Azad Medical College (MAMC), New Delhi, and at NTRUHS. She participated in a workshop on assessment methods in learning and evaluation at AIIMS in 2008, and in workshops at Christian Medical College, Vellore. She is enthusiastic about organizing and conducting workshops at her own institution. She is also interested in Carnatic music and painting. 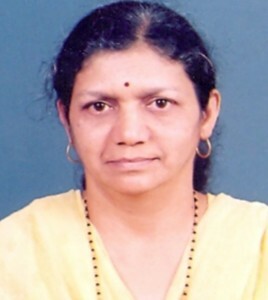 She is currently working as Professor of Pediatrics, at Jawaharlal Nehru Medical College (JNMC), Belgaum, Karnataka. Previous experience: Active member of the Department of Medical Education, JNMC, for the last 8 years. Trained in medical education technology and research methodology during the international workshops conducted at JNMC under the collaborative ventures by JNMC and the University of Illinois at Chicago, USA. Has been the resource person for local and regional workshops on teaching-learning and evaluation on several platforms. Has been the resource person for undergraduate / postgraduate education and faculty development training programmes. Has been instrumental in implementing OSCE in the Department of Pediatrics, JNMC. Involved in research in child health in collaboration with the National Institutes of Health (NIH) Global Network for Women’s and Children’s Health and the National Institute of Child Health and Human Development for the past 5-6 years. Completed a short-term fellowship in pediatric intensive care (June-August 2000) from the University of Illinois at Chicago. Areas of interest: Student assessment tools, OSCE/OSPE, innovative teaching-learning techniques. Hobbies: Listening to and singing classical music. She is an Assistant Professor in the Department of Fundamentals of Nursing at PSG College of Nursing, Coimbatore. She specialized in medical-surgical nursing. She also completed a postgraduate program in sociology and psychology, a diploma in human resource management, and a certificate course in fundamentals of computers. She has 14 years of teaching experience in the field of nursing. She was the Organizing Secretary for a workshop on “Promotion of Reproductive Health” and an organizer for various other workshops. She has guided undergraduate students on projects and takes part in departmental research work. She has presented papers and attended various national and international conferences, workshops, symposia, etc. She obtained a Certificate of Merit from Christian Medical College of Nursing, Vellore, World Health Organization Collaborating Centre for Nursing and Midwifery Development. She is a member of professional associations for nurses at state and national levels, and is also a member of the Coimbatore Diocesan Health Council. She is active in extracurricular activities and was the office bearer of the alumni association. She was the Convener and member of the Editorial, Publication and Registration Committee. She actively takes part in organizing the Career Guidance Program and Continuing Nursing Education Program for nurses and faculty. She comperes for conferences, college functions, and ceremonies. 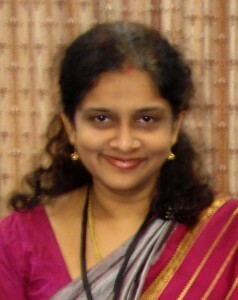 Marina Rajan Joseph, M.B.B.S., M.D., Comm. Med. Dip. N.B., C.T.A. 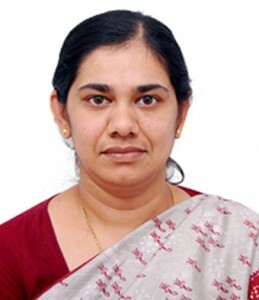 She is Associate Professor and Project Director of Community Medicine, Malankara Orthodox Syrian Church Medical College (MOSCMC), Kolenchery, Kerala. She also functions as the Associate Director of the Indian Institute of Transactional Analysis (IITA) Palai, Kerala. She is an active member of many international and national professional organizations, including the International Transactional Analysis Association (ITAA), the Indian Association of Palliative Care (IAPC), the Christian Medical Association of India (CMAI), and the Indian Medical Association (IMA). She has been working as Project Director of Community Health at Malankara Orthodox Syrian Church (MOSC) Medical Mission since 1995. She functioned as the Special Officer of the Medical College Project of MOSC Medical Mission in 2002 and has contributed significantly to the transformation of the Medical Mission hospital into a Medical College. She designed and initiated the “Community Living Programme”—the Orientation to Community Medicine for 1st M.B.B.S. students at MOSCMC, Kolenchery; designed and implemented research methodology training for undergraduates at MOSCMC in a phased and integrated fashion, applying principles of transactional analysis (TA); authored a textbook on epidemiology and many other books on health-related topics; and has many international and national papers to her credit. 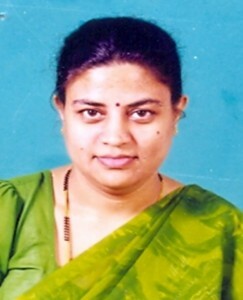 She has attended workshops for teachers and principals of professional colleges organized by the All India Association for Christian Higher Education (AIACHE) and Allahabad Agricultural University; undergone advanced training in epidemiology from the WHO Collaboration Center for Epidemiology, Christian Medical College, Vellore; and is a Certified Transactional Analyst in Education (CTA Edu.) of the International Transactional Analysis Association, Pleasanton, California, USA. She is also a certified trainer in TA by the IITA. 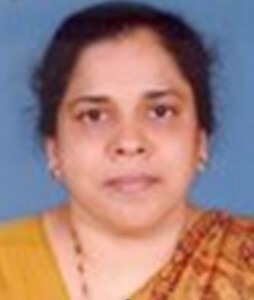 Latha Rajendra Kumar, M.B.B.S., M.D., Ph.D.
She is currently working as Professor and Head of Department, Department of Physiology, Father Muller Medical College (FMMC), Kankanady, Mangalore, Karnataka. She has 17 years of experience in teaching in medical institutes in India and in Malaysia (Asian Institute of Medicine, Science and Technology [AIMST] University, Kedah). She has attended and presented papers at several international medical education conferences, has attended workshops on PBL teaching, and has peer reviewed publications. Her Ph.D. thesis is on chronic alcoholics. 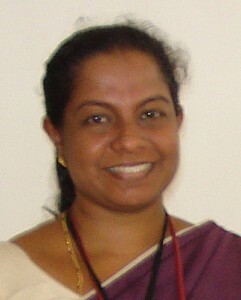 She has directed students on many research activities, for example, “Awareness of Osteoporosis in Indian Woman” and “Co-morbidities of Cerebral Palsy in Patients Reporting to Hospital SP, Malaysia.” Her interest in medical education arises from the fact that she has a passion for teaching and wants to constantly upgrade her knowledge and improve her teaching methodologies. She is currently working as Associate Professor in the Department of Physiology, Vydehi Institute of Medical Sciences and Research Center (VIMS & RC), Bangalore, Karnataka. She participated in a two-day training programme on medical education held at VIMS & RC, and attended the platinum jubilee celebration programme of the Medical Council of India (MCI), which had as its main theme “Leadership in Medical Education.” She has been involved in the project of her senior colleague related to small group discussion and its impact on the performance of low achievers. 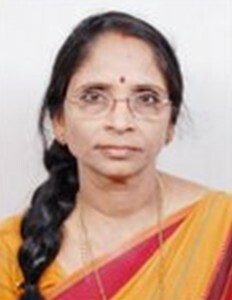 Kalpana Kumari M.K., M.B.B.S., M.D. She is currently a faculty member of the Department of Pathology, M.S. Ramaiah Medical College Bangalore, Karnataka. She earned her master’s degree from Bangalore Medical College. She is actively involved in departmental work, such as teaching, maintaining the ISO files, documentation of museum specimens, and diagnostic services for the hospital. She attended a workshop on innovation in teaching and learning in pathology, PubMed basics, and training for the health professionals, and a three-day workshop on faculty development conducted by the Medical Education Cell. She has a few publications to her credit, including “Fraser’s Syndrome―A Case Report,” published in the Indian Journal of Pathology and Microbiology, issue April-June 2008, and “Sirenomelia―A Case Report,” also in the Indian Journal of Pathology and Microbiology, issue October-December 2009. 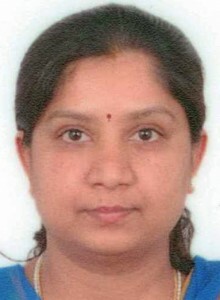 She has presented oral papers at state conferences: “Polypoidal Lesions in the Nasal Cavity” at XXXIV Annual Conference, Karnataka Chapter – Indian Association of Pathologists and Microbiologists (KCIAPM), Davangere, 2007; and “Perinatal Autopsies: A Study of 10 Years,” XXXV Annual Conference, KCIAPM, Hubli, 2008. She has also presented a poster on “Fanconi’s Anaemia―A Case Report,” at XXXII Annual Conference, KCIAPM, 2004. She is very interested in teaching and learning innovative methods to make the subject more interesting for students. 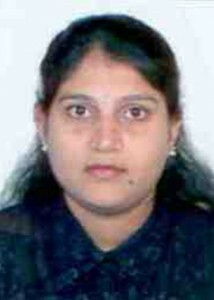 Satheesha Nayak B. is currently working as Associate Professor of Anatomy, Melaka Manipal Medical College (MMMC), Manipal. He previously worked at Kasturba Medical College, Manipal as Lecturer for 1 ½ years (1993-95), but has been working at MMMC since then. 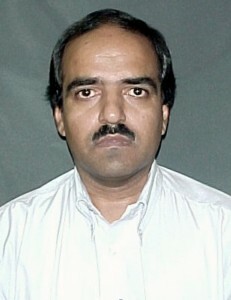 He has published many articles in medical education, including “Blunder Lecture: An Innovative Method of Teaching” (Advances in Physiology Education, 2005); “The Broken Lecture: An Innovative Method of Teaching” (Advances in Physiology Education, 2006); “Anatomy That Must Be Taught to a Medical Undergraduate” (Anatomical Record. Part B, New Anatomist, 2005); “Merit-based Rearrangement of Students for Better Interactions” (Advances in Physiology Education, 2005); “The Blanket Method: A Novel Method of Teaching Peritoneal Relations of Female Reproductive Organ” (Advances in Physiology Education, 2006); “Modeling the Anatomy and Function of the Pelvic Diaphragm and Perineal Body Using a ‘String Model’” (Advances in Physiology Education, 2008); and “Teaching Anatomy in a Problem Based Learning (PBL) Curriculum” (Neuroanatomy, 2006). He is interested in Carnatic classical music and cricket. She is currently working as Associate Professor of Community Medicine at T.D. Medical College, Alappuzha, Kerala. She is actively involved in teaching, training, and research activities of undergraduate medical students. She has initiated community based activities in the district of Alappuzha in the following areas: self help groups for filarial lymphoedema patients and community based palliative care programme. She has equal love in three areas: medical education, public health, and epidemiological research. She is a resource person for teacher training programmes at medical colleges. 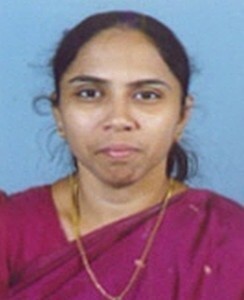 Seema S. R., M.B.B.S., M.D. She is currently working as Assistant Professor in the Department of Anatomy, M.S. Ramaiah Medical College, Bangalore. Previously, she worked as Demonstrator at University College London in the United Kingdom and as a lecturer at Sri Devaraj Urs Medical College, Kolar, Karnataka. She has attended many workshops on innovative teaching methods as well as a workshop on medical education technology, organized by the Medical Education Cell (MEC) of M.S. Ramaiah Medical College, Bangalore. She is interested in research activities and curricular development. Her hobbies are traveling, cooking, internet surfing, and playing with kids. 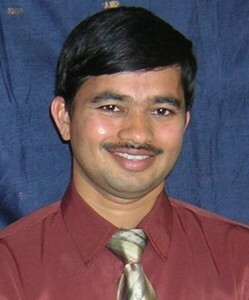 I am a Lecturer in Pharmacology at Bharati Vidyapeeth University Medical College (BVUMC), Pune. I also hold the responsibility of Coordinator of Medical Education Unit (MEU) at our college. I did my M.Sc. in Pharmacology at Government Medical College, Aurangabad. After three years of pharmaceutical industry experience with Pfizer in Mumbai, I shifted to Pune and the teaching profession in 1982. After a few years at B.J. Medical College, Pune, I have, since 1990, been with BVUMC, Pune, and have been actively involved in the Medical Education Technology Unit of our college since its inception in 1995. Deputation to participate in one basic and three international workshops on medical education, organized jointly by Jawaharlal Nehru Medical College (JNMC), Belgaum, and the University of Illinois at Chicago, were instrumental in inducting me to the field of medical education. We regularly organize workshops for the teaching staff of our college and our sister institutes. I am also a regular visiting faculty member at similar workshops at Maharashtra University of Health Sciences (MUHS), Pune. I am genuinely interested in teaching and enjoy teaching and interacting with students. I believe teaching is an art as well a science, and that we need to exploit all of its aspects to do justice to our noble profession. I like to share this perspective and the intricacies of our profession with my fellow colleagues through our Medical Education Unit and the ME department of MUHS, which provides an even wider platform. Among the different sessions I have been conducting, I particularly enjoy the following: Concept of Learning, Communication Skills, Group Dynamics, Audiovisual Aids (Overhead Projectors [OHP] & PowerPoint), Item Analysis, and Question Banking. I love preparing innovative animated PowerPoint presentations to help students visualize and understand abstract concepts. Four of my research presentations on pharmacology / medical education have won best paper awards at various conferences. My other interests are sports, reading, acting, and traveling. I have been working at Sri Devaraj Urs Medical College for the past eight years. I underwent training at the National Teacher Training Centre (NTTC), Jawaharlal Institute of Postgraduate Medical Education and Research (JIPMER), early in my teaching career, which enhanced my interest in medical education. I attended the national workshop on Assessment Methods in Basic Sciences organized by the All India Institute of Medical Sciences (AIIMS). I have been an active member of the Medical Education Unit at my institution for the past six years and involved in conducting TOT (training of teacher) workshops for teaching faculty at our institution. I have been a Member, Board of Studies, at Sri Devaraj Urs University, and involved in designing the curriculum for preclinical subjects. I have worked in projects on medical education, including slow learners and learning style preference in students, and have presented the same at national conferences. With most of my free time being spent with my son, I have little time for hobbies, which include reading, surfing, and listening to music. He is currently working as Senior Lecturer in the Department of Community Medicine, PSG Institute of Medical Sciences and Research (PSG IMS&R), Coimbatore, India. He teaches Social Determinants of Health to medical undergraduate and postgraduate community medicine students. He is a member of the Institutional Human Ethics Committee of PSG IMS&R and a consultant for evaluating the Integrated Child Development Services (ICDS) scheme in Tamil Nadu, India. He has completed a research project on the reach and efficiency of vitamin A prophylaxis and anaemia control programmes, and has published scientific papers in international peer-reviewed journals. He has attended capacity building programmes in teaching-learning-evaluation, and ethics. Currently he is working on steps to improve the visibility of social science components in the medical undergraduate curriculum in India. Dr. Sivan was invited as a visiting fellow by the Department of Sociology of the Delhi School of Economics, University of Delhi, in 2008. He is currently working as Deputy Director of Medical Education (Academic and Research) in the Directorate of Medical Education, Government of Tamil Nadu, Chennai. He did his postgraduate work and earned his M.D. General Medicine at Madras Medical College, Chennai, and has 17 years of teaching experience. He also earned his Postgraduate Diploma in Higher Education from Indira Gandhi National Open University (IGNOU) in New Delhi. He was trained in medical education technology at the National Teacher Training Centre (NTTC), Jawaharlal Institute of Postgraduate Medical Education and Research (JIPMER), Pondicherry. 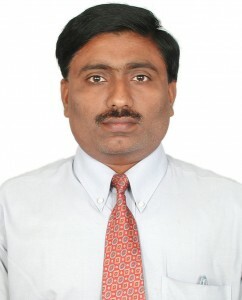 He is also a guest faculty member in the Department of Curriculum Development at Tamil Nadu Dr. M.G.R. Medical University, Chennai. His main area of interest is problem based learning and integrated teaching. He started the Medical Education Unit at Government Kilpauk Medical College, Chennai. At present he is keen on establishing a tele-education program at Government Medical College and in the state of Tamil Nadu. He is working out proposals for establishing clinical skill labs. He has presented papers at international medical conferences held at Hyderabad and Bangalore. His hobbies are watching TV (sports, current affairs, movies) and reading books. 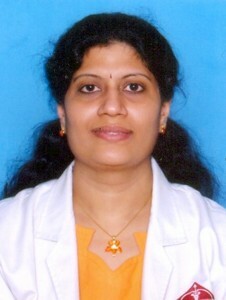 Roopa Srinivasan, M.B.B.S., M.D. (Physiology), P.G.D.M.C.H. 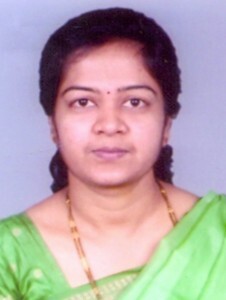 Currently she is working as an Assistant Professor in the Department of Physiology at Sri Ramachandra Medical College and Research Institute, Sri Ramachandra University (SRU), Porur, Chennai. She obtained “university first” in the M.D. Physiology exam. She worked as a tutor in basic medical sciences preparation for the United States Medical Licensing Examination (USMLE) at the KAPLAN Coaching Center, Chennai. 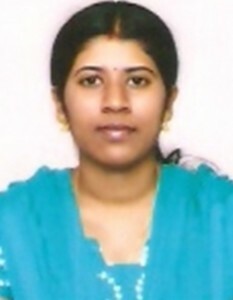 Research work includes the Central Pollution Control Board (CPCB) funded project “Assessment of Baseline Health Status and Pulmonary Functions of the Solid Waste Management Sector of Chennai.” She has attended and presented papers at many national and international conferences and workshops, and in continuing medical education (CME) programs. She has also attended medical education programs, including “Facilitation of Problem Based Learning PRODE,” a faculty development programme held at SRU, and “Case Writing for Problem Based Learning,” held at SRU during Professional Activities. She is a Life Member of the Indian Medical Association, Life Member of the Association of Physiologists and Pharmacologists of India, and Life Member of the Association of Physiologists of Tamil Nadu. She has worked as an examiner for a paramedical course. Her hobbies are writing poetry, reading, listening to music, and drama. Her poems have been published in the SRU newsletter Bridges. She was selected for the best actor award at SRU. I am currently working as Assistant Professor in the Department of Obstetrics and Gynaecology, Kamineni Institute of Medical Sciences (KIMS), Narketpally. I had my basic medical training at J.S.S. Medical College. I completed my M.S. OBG in 2004 at M.S. Ramaiah Medical College, Bangalore. I have three and a half years of teaching experience. I am a member of the curriculum committee, HIV core committee, and Officer In-Charge of the Integrated Counseling and Testing Centre (ICTC). I was initiated into medical education when I attended the medical education workshop at KIMS. I have been a resource person in the medical education unit for 2 years and am actively involved in various faculty development workshops. I am interested in qualitative research in teaching methodology. My areas of interest include family planning methods, cervical cancer screening, and improvement of communication skills.